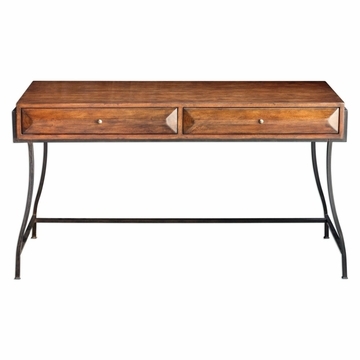 Uttermost's Writing Desks Combine Premium Quality Materials With Unique High-style Design. 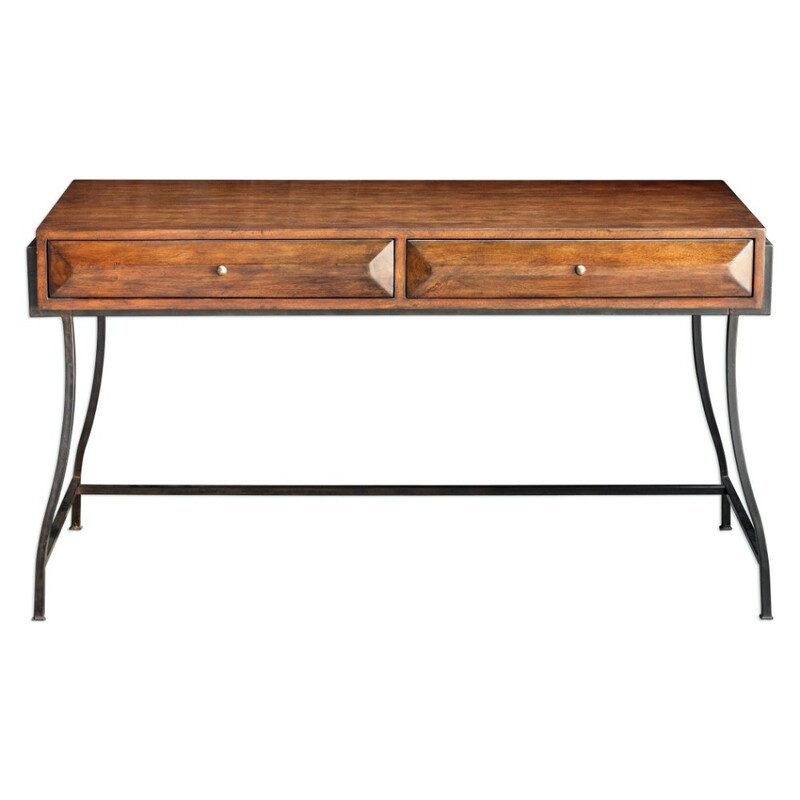 The Hand-forged Iron Frame Of This Rich Walnut Toned Writing Desk Gives A Hint Of Softened Industrial Styling With Plenty Of Traditional Refinement. 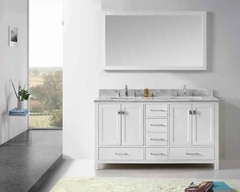 All Four Sides Are Equally Elegant In Smooth, Fiery-grained Mango Wood. Two Generous Drawers Boast Beveled Faces With Antique Brass Pulls.